Availability: This item is not supplied by Cambridge University Press in your region. 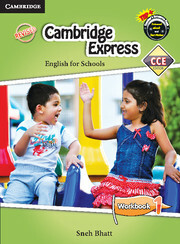 Please contact Cambridge University Press (I) Pt Ltd (India) for availability. 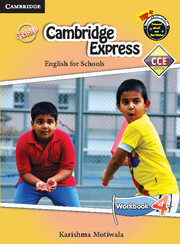 Cambridge Express CCE Edition is a multi-skill course in English for the primary and the secondary school levels. Cambridge Express is a multi-skill eight-level course in English for the primary and the secondary schools levels. The course aims to develop learners’ language and communication skills through carefully designed interactive tasks and exercises. 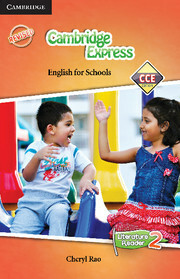 The revision has been based on feedback from users as well as experts in the field with specific focus on the requirement of schools following Continuous and Comprehensive Evaluation (CCE) in their curriculum. 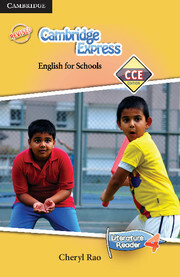 With new reading texts additional exercises and fresh CCE material the books provide students and teachers with an entirely new experience in the teaching/learning of English.